The United States Department of Agriculture (USDA) New Farmers website provides information on agriculture for beginning individual farmers and organizations. As a yardfarmer, do you grow plants for self-use, for the market or both? Whatever your ultimate purpose is, this website is helpful. If you plan to grow food in the yard for your family only, some of the information listed on the New Farmers site will contribute to building a healthier and more sustainable yard for yourself and the environment. If you grow more than enough food for your household and are considering bringing your extra produce to the market, this website will also be a good resource. USDA New Farmers has extensive information for new farmers. From selecting seeds and producing food, to managing risks and expanding your farm, this website is a fabulous database for new farmers. It includes both technical guidelines, local networks for farmers, and financial support from the USDA (including education and training grants for yardfarmers who want to teach others how to yardfarm too). The Education section of the website is a guide for growing food. You can find governmental standards of foods and related research. It also displays information for grant applications and veterans. When you start farming your own yard, your goal may be to simply feed your family. However, if you want to grow seasonal food and grow organic food at lower costs for selling in the local farmers’ market, the Expanding Businesses section is a must-read. The Access section can instruct you on how to find funding for your farm from local USDA locations. If you have questions on natural disasters or business risks, you should look at the Managing Risks section. You can not only find financial aid for risks, but also tips to fight against ecological problems in the field. The Protecting the Environment is also a valuable section, especially for yardfarmers who plan to keep their yards productive and healthy for generations to come. 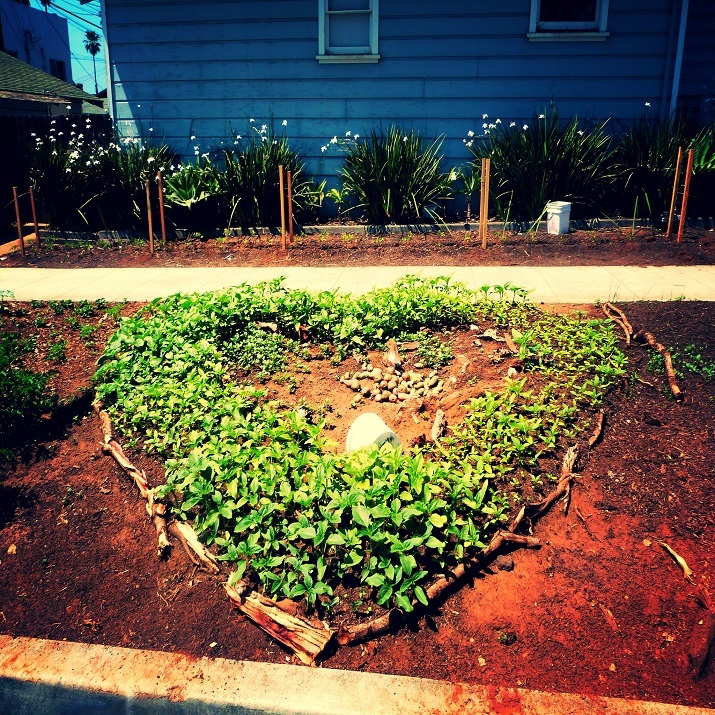 How can you guarantee water, air, and soil to be healthy in your yard? You can find conservation knowledge through USDA’s Natural Resources Conservation Service (NRCS) here. You can also find financial sources, as well as lists of local governments and non-governmental organizations that can help you improve the environmental well-being of your yard. Feel free to check out the USDA New Farmers website to find helpful resources on increasing the economic and environmental benefits of your farm! Yardfarming in the City Food Not Lawns!